How to identify termite signs in your home? Given we know for a fact that Melbourne and the outer Victorian suburbs are high risk areas for termite infestation, it’s really important that homeowners are well informed about how to uncover early termite signs in their home. Termites damage costs the home owner thousands. Early detection can stop this. Termites live underground or hide in dark, warm and moist environments. They silently eat away from inside to out so by the time we know termites are in the home it’s usually too late. But there are some signs of termite damage that you may uncover in your home so you may put an end to the damage bill. If you are concerned about termites in your home, regulatory authorities recommend contacting an expert. 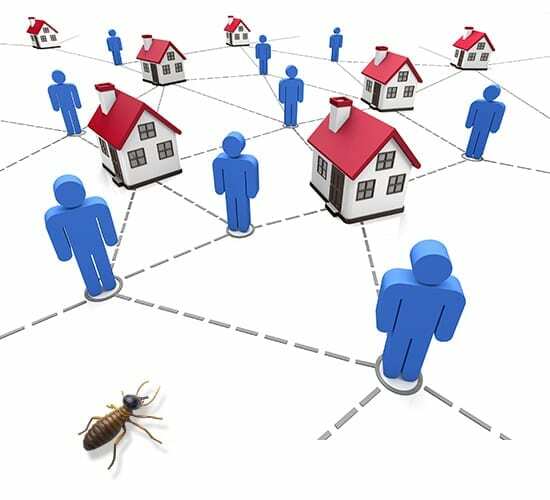 Termite costs to the homeowner are significant. Do not attempt to remove them yourself as research and our experience shows this makes the situation worse.